Getting noticed on social media is hard. Whether you're a newbie blogger or a seasoned professional, sometimes a post you're really proud of just doesn't get the attention you feel it deserves. That's why promoting your blog on social media is so important - it makes your blog available to a huge internet audience. But how do you achieve this successfully? How do you get your blog onto the timelines of thousands? Is anyone else here old enough to remember using the Yellow Pages phone directory instead of Google?! The answer, of course, is Twitter. And more specifically, blogger retweet accounts. These can have astoundingly large audiences, and their prime purpose is to retweet content! All you have to to is follow them and then mention them in your tweets, or use their required hashtag, and they'll help you promote your posts. However, tagging the same two or three retweet accounts in every single one of your promotional tweets can lead to a bit of over-saturation. I try to use a wide variety of retweet accounts to promote my content, to ensure that a wide variety of people get to see it. 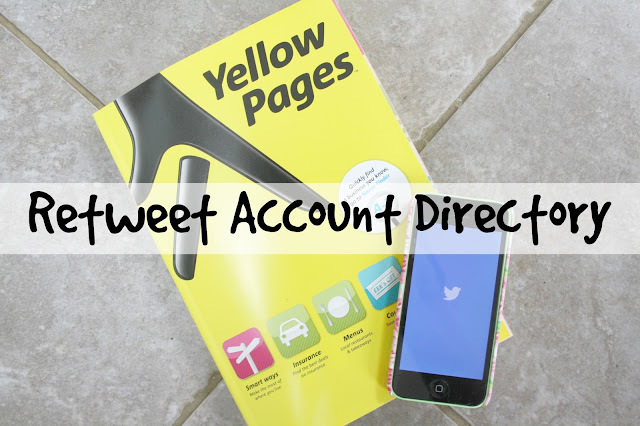 I've created the following Retweet Account Directory to help you do the same! If you know of any accounts that need to be added, please leave me a comment down below. I hope you found this post useful! Would you like to see more like it? Let me know in the comments.